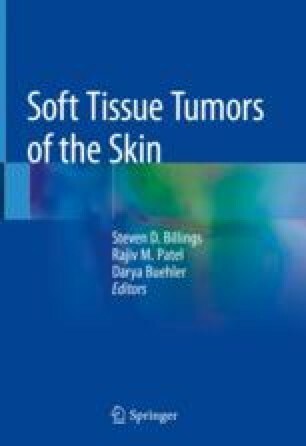 This chapter briefly describes reactive or neoplastic mimics of primary cutaneous mesenchymal neoplasms that are commonly encountered by dermatopathologists and can lead to misinterpretation as a primary soft tissue tumor, especially sarcoma. A comprehensive review of these lesions is beyond the scope of this chapter; rather, we focus our discussion on helpful histologic clues, diagnostic pitfalls, and useful ancillary tests. The entities reviewed in this chapter and their clinically important mesenchymal tumor mimics are listed in Table 3.1.